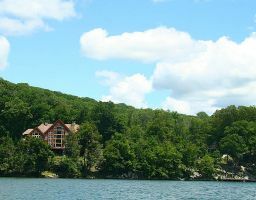 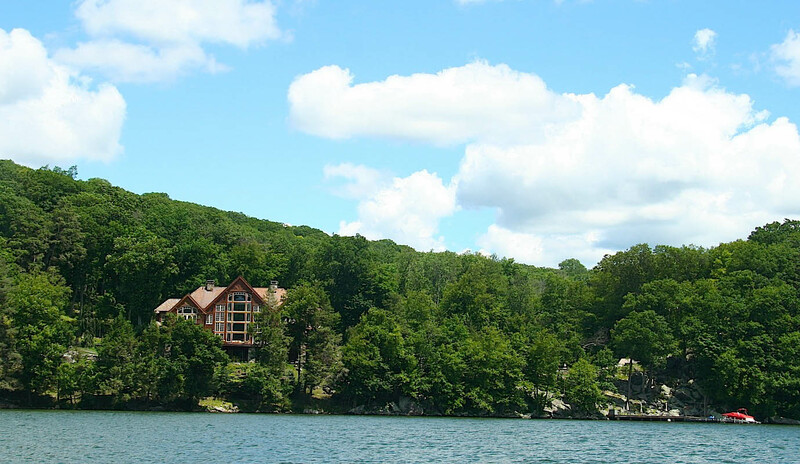 Situated on a bluff overlooking a major lake, this home enjoys unparalleled sunset views. 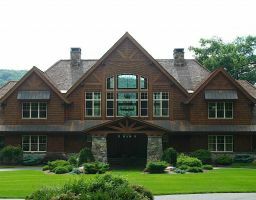 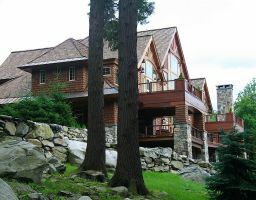 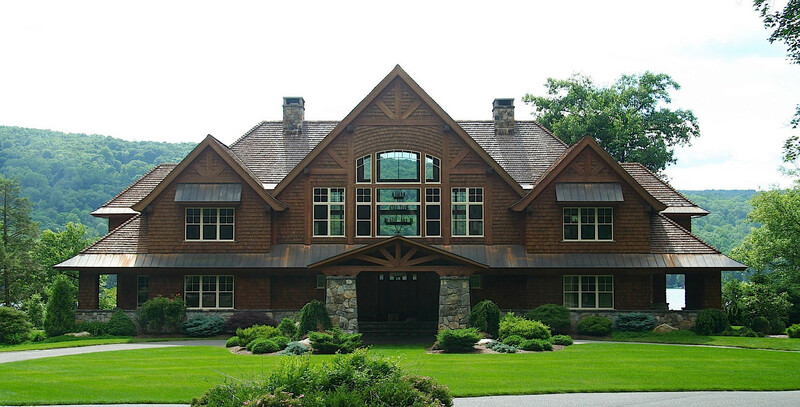 The exterior is a composition of hand split western red cedar shingles, half-timber truss details and standing seam copper eaves, set on a fieldstone base. 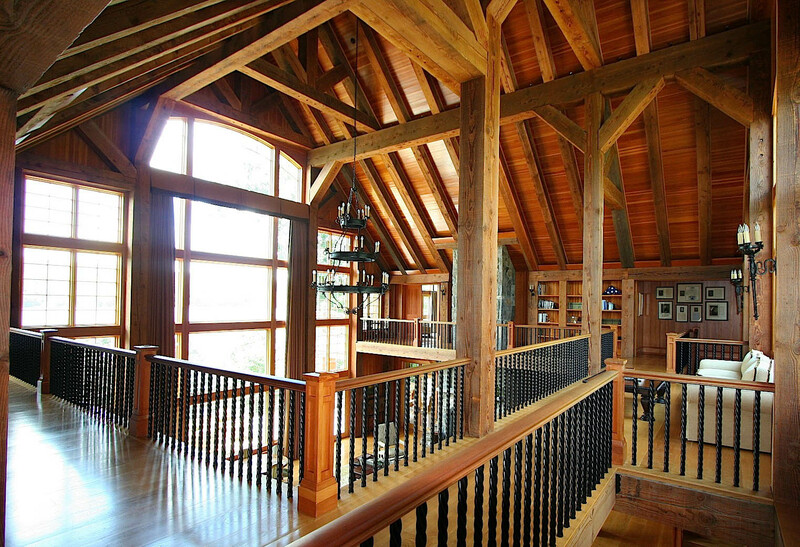 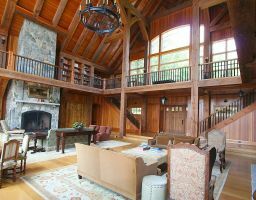 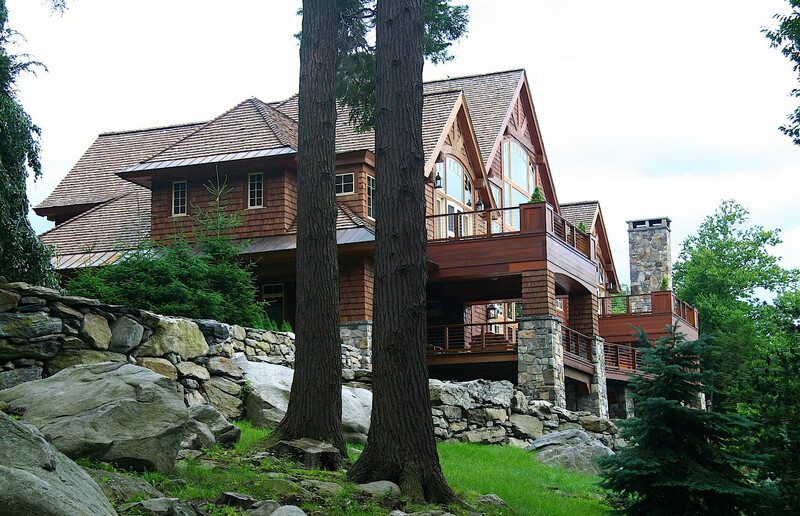 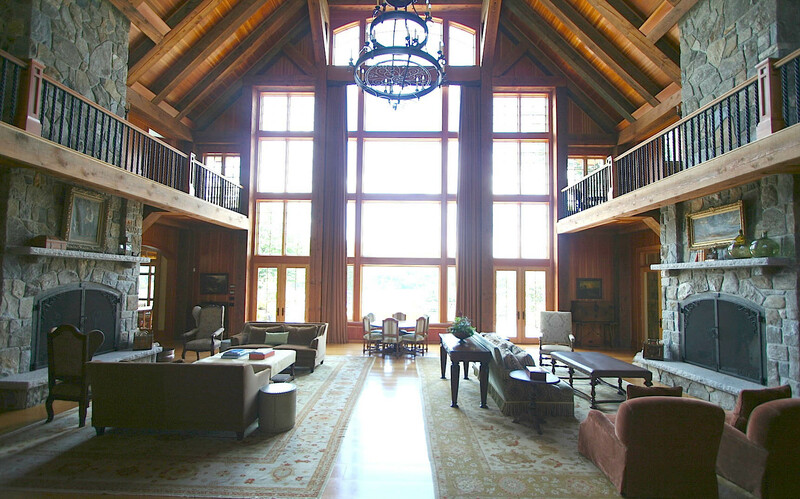 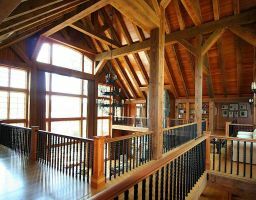 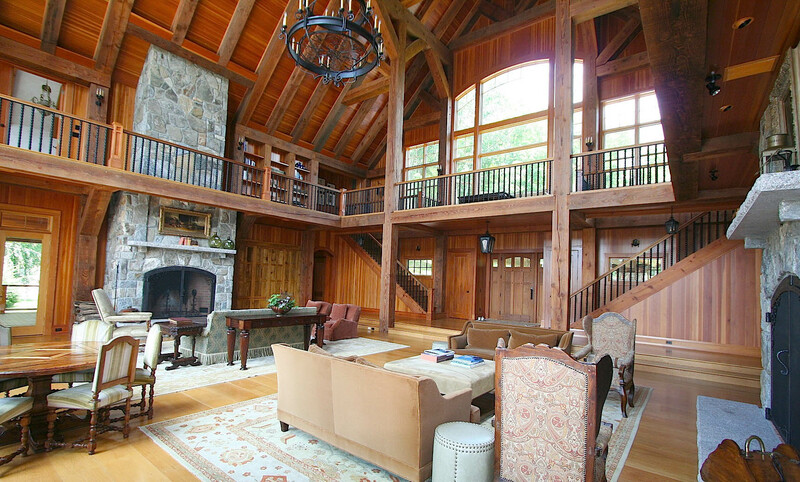 At the center of the home is a monumentally sized great room, timber framed with massive douglas fir posts and beams. 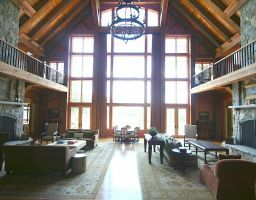 Across the entry foyer is a four-story glass wall facing west over the lake.